Keep consitently the floor evident beneath your hive as best it is possible to, usage gravel, concrete, pavers, sand, etc this can help you keep close track of what's happening together with your bees. You obtain a lot of information regarding the fitness of your hive by observing the entrance and lifeless on a lawn. You might also see the beetle larvae exiting the hive to pupate, letting you know its time and energy to work. Other considerations consist of making sure your stand isn't excessive, for those who have two or three bins you will need to inspect and remove these every so often, ideally without using a ladder. 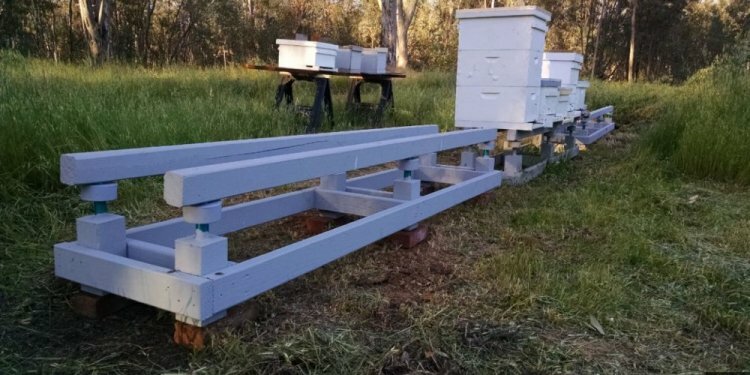 Another aspect is drainage from hive, if you have a great bottom board in that case your hive is on hook pitch allowing any rainwater to strain out of the entrance, you may want to develop this into the stand.